The government of Venezuela has become a notorious abuser of private property rights, seizing the property of corporations and political opponents without offering any compensation. Unable to obtain redress in Venezuelan courts, property owners with increasing frequency have turned to U.S. courts for compensation. The U.S. Court of Appelas for the Eleventh and D.C. Circuits issued nearly simultaneous decisions earlier this month in suits filed by property owners against Venezuela. While the courts reached facially inconsistent results—the Eleventh Circuit dismissed one property owner’s claim while the D.C. Circuit allowed the claims of another group of property owners to move forward—the two courts sent a similar message. Both courts made clear that while they are reluctant to inquire into the validity of a foreign sovereign’s internal conduct, such judicial restraint does not prevent courts from protecting Americans’ rights when property is taken in clear violation of international law. Any effort to sue a foreign sovereign in a U.S. court faces a major obstacle: the Foreign Sovereign Immunities Act (FSIA). The Supreme Court has held that the FSIA is the sole basis for obtaining jurisdiction over a foreign state in our courts. The statute states explicitly that a foreign state is absolutely immune from the jurisdiction of U.S. courts unless a specific FSIA statutory exemption is applicable. The only exemption potentially available to those whose property has been confiscated is 28 U.S.C. § 1605(a)(3), which denies immunity in cases “in which rights in property taken in violation of international law are in issue.” The Eleventh and D.C. Circuits agreed that the availability of the § 1605(a)(3) exemption depends to a large extent on whether the plaintiff is a citizen of the foreign state; if so, federal courts are far less willing to exercise jurisdiction. The case before the Eleventh Circuit, Mezerhane v. Venezuela, involved a Venezuelan entrepreneur, Nelson Mezerhane, whose businesses included a newspaper and television station that were critical of the government. The government retaliated by imprisoning him and seizing his businesses. Mezerhane fled the country, sought asylum in the United States, and then sued Venezuela in U.S. courts for the value of his seized property. The Eleventh Circuit held that the § 1605(a)(3) exemption was inapplicable and thus that jurisdiction over the case was barred by the FSIA. The court explained, “As a rule, when a foreign nation confiscates the property of its own nationals, it does not implicate principles of international law.” Mezerhane sought to avoid that rule by claiming that he had “effectively been stripped of his citizenship” and was thus “de facto stateless.” The court was unpersuaded; it held that even if Mezerhane really was stateless, the ‘ 1605(a)(3) exemption is applicable only when the property rights issue implicates the interests of at least two nations. The D.C. 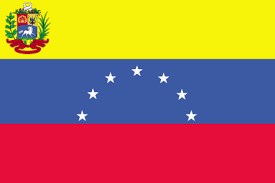 Circuit rejected Venezuela’s immunity claim in large measure because the case it was considering, Helmerich & Payne Int’l Drilling Co. v. Venezuela, did involve the interests of two nations: Helmerich is an American corporation. For many years, Helmerich provided oil-drilling services to PDVSA, Venezuela’s state-owned oil company, through a subsidiary incorporated in Venezuela. Helmerich ceased providing services when PDVSA stopped making payments and overdue receivables topped $100 million. Thereafter, the Venezuelan government ordered the confiscation of all of Helmerich’s oil drilling equipment and turned it over to PDVSA without offering compensation. Helmerich and its Venezuelan subsidiary filed suit in federal court in the District of Columbia against Venezuela and PDVSA, alleging that the defendants expropriated their property in violation of international law. Although conceding that Helmerich’s claims were not categorically barred (because Helmerich is not a citizen of Venezuela), the defendants argued that Helmerich lacked standing because title to the expropriated property was in the name of the Venezuelan subsidiary, not of Helmerich itself. The D.C. Circuit rejected the challenge to standing. Noting that § 1605(a)(3) refers broadly to the taking of “rights in property,” the appeals court concluded that the FSIA exemption authorizes claims filed by the foreign shareholders of a corporation that holds legal title to the expropriated property. The court said that a broad reading of the term “rights in property” was particularly appropriate in this case because the expropriated drilling equipment had initially belonged to Helmerich before it transferred the equipment to its subsidiary. So what of the claims asserted by Helmerich’s Venezuelan subsidiary? The D.C. Circuit recognized that the normal rule is as stated by the Eleventh Circuit: the FSIA does not authorize federal court jurisdiction over expropriation claims asserted by a citizen of a foreign country against his own country. It nonetheless deemed that rule inapplicable when a corporate plaintiff alleges, as here, that the foreign government unreasonably discriminated against the plaintiff on the basis of its sole shareholder’s nationality. The evidence is quite strong that Venezuela’s expropriation of the drilling equipment was motivated in large measure by anti-American animus. For example, government officials charged that Venezuelan workers were being “exploited and then dismissed by this American company,” referred to company officials as “spokesmen for the American empire,” and stated that opponents of expropriation were supporting America’s mission of “war . . . through the large military industry of the Empire and its allies.” In essence, the appeals court held that a foreign state’s confiscation of its own citizens’ property implicates the interests of two nations (and thus is not immune from suits filed in U.S. courts) when the confiscation is motivated by nationality-based animus against a corporate owner that is not a citizen of the sovereign state. The two appeals court decisions are fully reconcilable and represent an effort by U.S. courts to respect the sovereign rights of foreign countries while at the same time providing a forum for Americans who have been deprived of their property in violation of international law. The Eleventh Circuit’s Mezerhane decision is also consistent with recent Supreme Court decisions that have expressed reluctance to permit federal courts to adjudicate international human rights claims based on occurrences between foreign citizens on foreign soil. As the Eleventh Circuit explained, although Mezerhane is a sympathetic plaintiff, allowing his claim to proceed “would broadly expand the availability of U.S. courts to resolve cases arising from events taking place exclusively on foreign soil and with a nexus to the United States that is at best marginal.” On the other hand, as the D.C. Circuit held, when the property rights of Americans are at issue or when property is confiscated precisely because the owner’s shareholders are American, respect for a foreign state does not require U.S. courts to turn a blind eye to claims that the foreign state has acted in violation of international law. Also published by Forbes.com at WLF’s contributor site.